Valtteri Bottas dedicates Australian Grand Prix victory to F1 race director Charlie Whiting following his tragic passing. Valtteri Bottas has dedicated his Australian Grand Prix victory to Formula 1 race director Charlie Whiting, who died days before the 2019 season-opener. Whiting, who had served as F1’s race director and the sport’s chief safety delegate since 1997 following a career as an engineer at Hesketh and Brabham, died overnight as a result of a pulmonary embolism after arriving at the Melbourne circuit on Wednesday. Bottas briefly paused the post-race FIA drivers’ press conference on Sunday to pay tribute to the long-serving and respected 66-year-old. “I just want to say: thank you Charlie,” Bottas said. 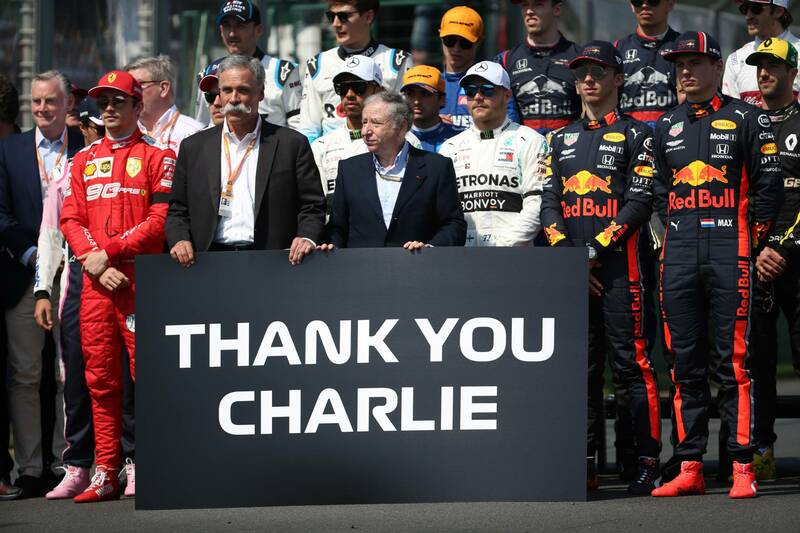 It was one of many tributes held throughout the race weekend, with F1 drivers and team personnel taking part in a one-minute silence prior to the start of the race. Black armbands had been worn as a mark as respect, while a number of teams displayed tributes on their cars. Bottas leads the drivers’ championship by eight points from Mercedes teammate Lewis Hamilton following his commanding victory in Australia.